Onions are a staple in the pantry of every cook and integral to the flavor of so many recipes. 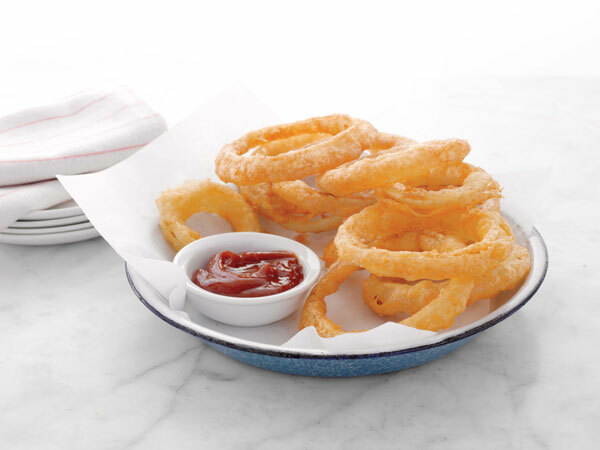 In this episode, Martha walks the viewer through three onion dishes that make use of different cooking techniques: French Onion Soup, Balsamic-Glazed Pearl Onions and Fried Onion Rings. Martha loosens onion skins by boiling them for 1 minute and then putting them in ice cold water. Try this balsamic-glazed pearl onions recipe from the "Onions" episode of Martha Stewart's Cooking School. Bring a medium saucepan of water to a boil. Cut an X in stem end of each onion, and when water reaches a boil, place ones in water for one minute. Drain. Let stand until cool enough to handle, then carefully peel, leaving root and stem ends intact. In a large skillet, combine onions, wine, butter, and 1 cup water; season with salt and pepper. Bring to a boil, then reduce to a simmer and cook until onions are tender and liquid has evaporated, about 15 minutes (if onions are large, increase cooking time and add more water). Add vinegar and cook until sauce thickens and onions are glazed, 2 to 3 minutes.